Seven-time Grammy award-winning musician John Mayer has signed four guitars in a fund-raising campaign for the Junior Police Call. 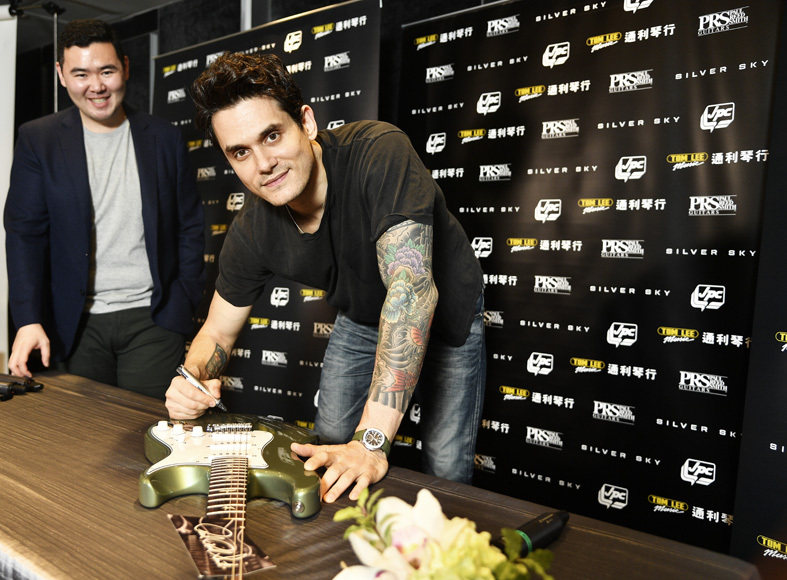 Mayer, who was in Hong Kong for his debut concert on Monday, autographed four PRS Silver Sky guitars that he co-designed in an event by Tom Lee Music and American guitar manufacturer PRS Guitars. Each guitar will be sold for HK$50,000, and all proceeds will go toward the Junior Police Call and its youth music programs. Ricky Ho Yun-sing, who is the district commander of Yau Tsim Mong and also oversees the uniformed youth group, said the district branch has more than 400 non-Chinese members. For six consecutive years, it has been offering Chinese-language training in order to equip them with the appropriate skills to enter the force.